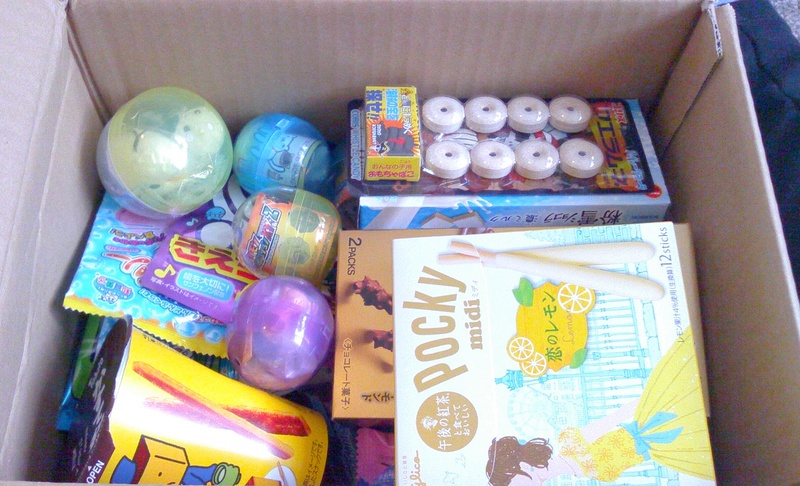 I got them from J-List, along with a bunch of Japanese candy too, Konpeito mainly :DD And some ramune candy bottles. 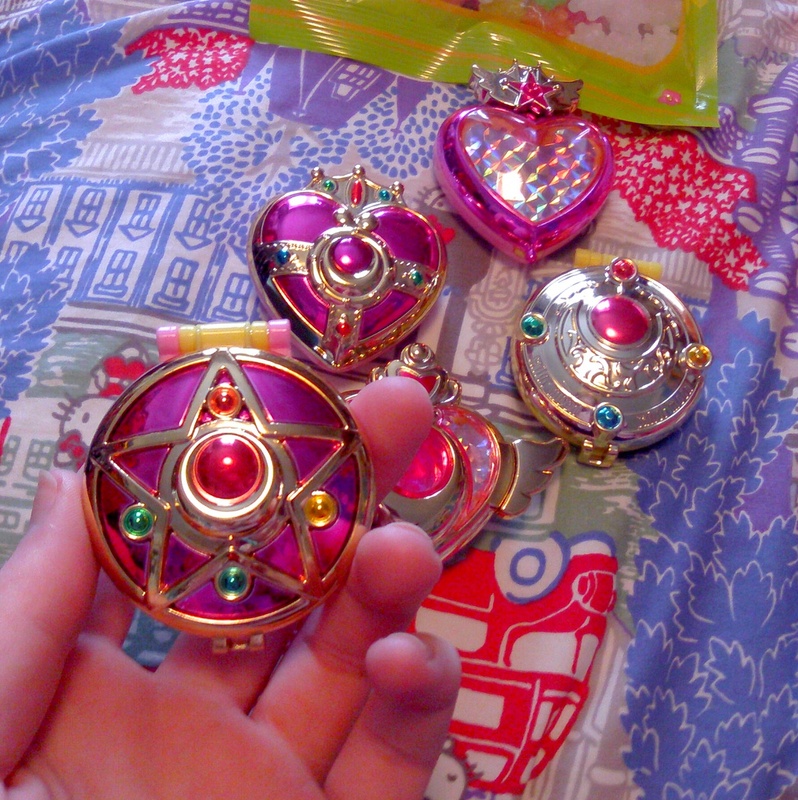 I’m not a massive-massive fan of Sailor Moon, but I love magical girl anime, and I adore the compacts. And these were under $20 for the set, which I thought was pretty damn good. Apparently so did everyone else, as they disappeared off the J-List site pretty sharpish. Glad I ordered them when I did. These were the re-release too I believe, as they’d been released before. This is currently what my desk looks like. Hardly a desk, more a display…. You might think that I have left hardly any room to move the mouse, but I manage well enough. lol. Click for a bigger pic if you wanna closer look at some of the figures. I have now officially run out of room for figures… I would have to move most of the mini figures off my tall boy(the wardrobe thing on the left of my desk) to make more room….. and I don’t wanna…. 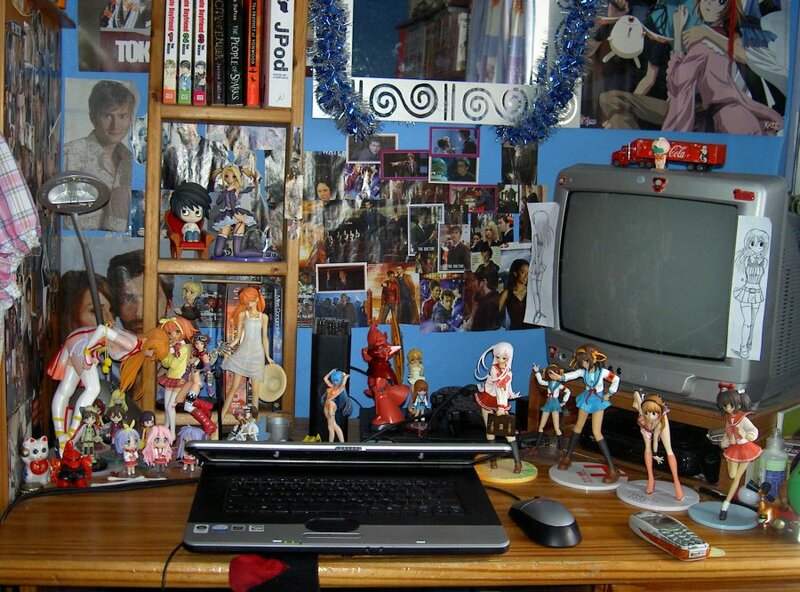 but I’m going to Uni soon… so I’ll have even less room…. and transporting them will be a faff…. but I have the boxes for quite a few of the ones I’m taking. Thats another problem…. how the hell do I decide who to take???!!! I know there are at least 7 I feel that I **must** bring with me… but I feel bad leaving the others… and I’ll be away from them for so long…. and god knows what my parents will do to my room while I’m gone…. if they break ANY of them… they will be forced to buy new ones, and it won’t be easy, considering lots of my figures are discontinued…. And a quick pic of my darling cat! 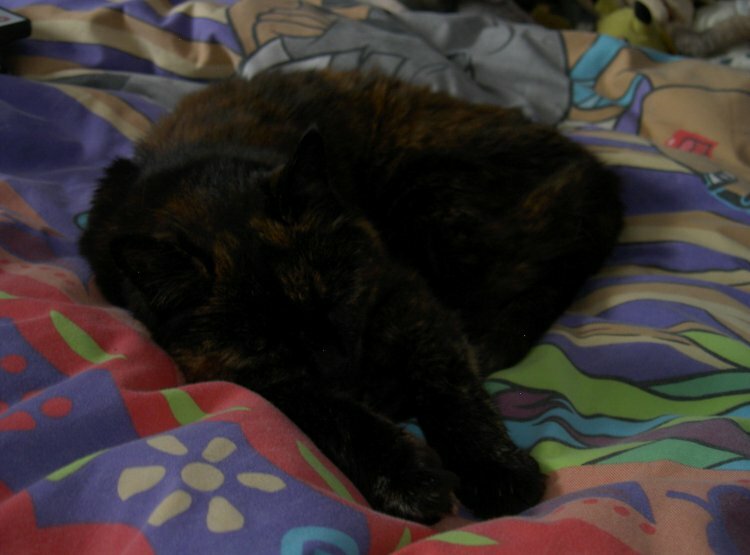 I’ll miss her so much when I’m at Uni….